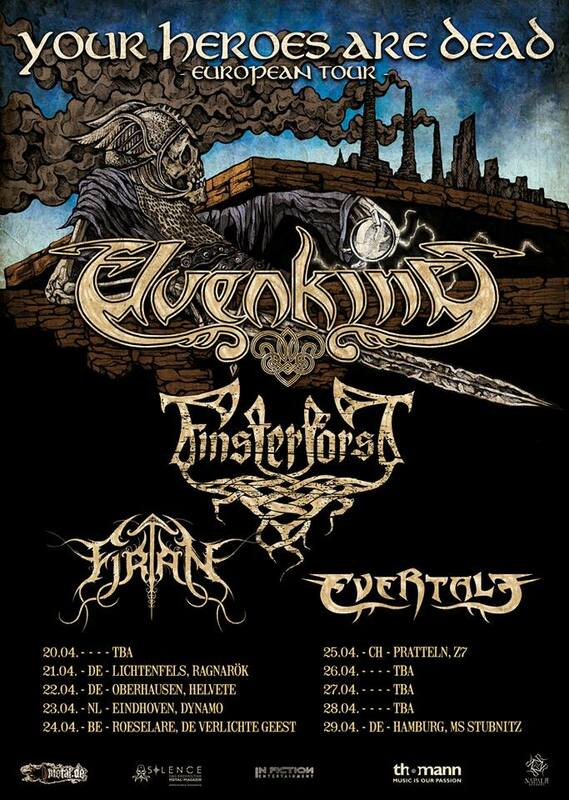 ELVENKING ON EUROPEAN TOUR IN APRIL. “2016 has been a difficult year for metalheads with many losses. “Your Heroes Are Dead” is therefore now truer than ever and is hence the motto for the 2017 European Tour of ELVENKING from Italy and Finsterforst from Germany. Accompanied by uprising German metal acts Firtan and Evertale they promise to make each night an unforgettable one! The Power/Folk Metal legends Elvenking from Italy will headline these memorable nights with unforgettable performances. More dates will be added and announced soon.